Koleduvane: Have a very Bulgarian Christmas! 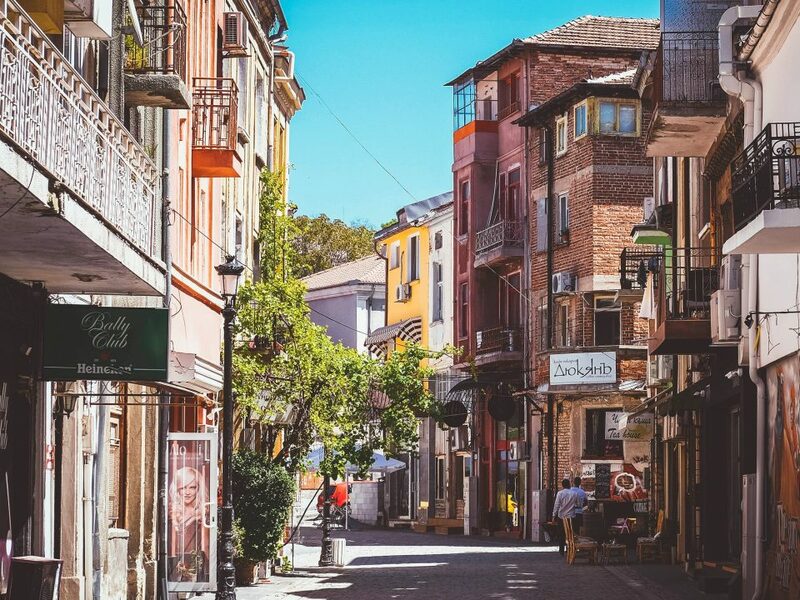 This is our second part of the “10 must-visit places in Plovdiv”. You can find Part I here. We are going to tell you about 5 more places in our city and their history. The City Art Gallery of Plovdiv is one of the most remarkable cultural institutions in Plovdiv. There you can see some of the best examples of Bulgarian fine arts. The expositions of the gallery are situated in five different buildings, which are close to each other in the downtown area of the city. 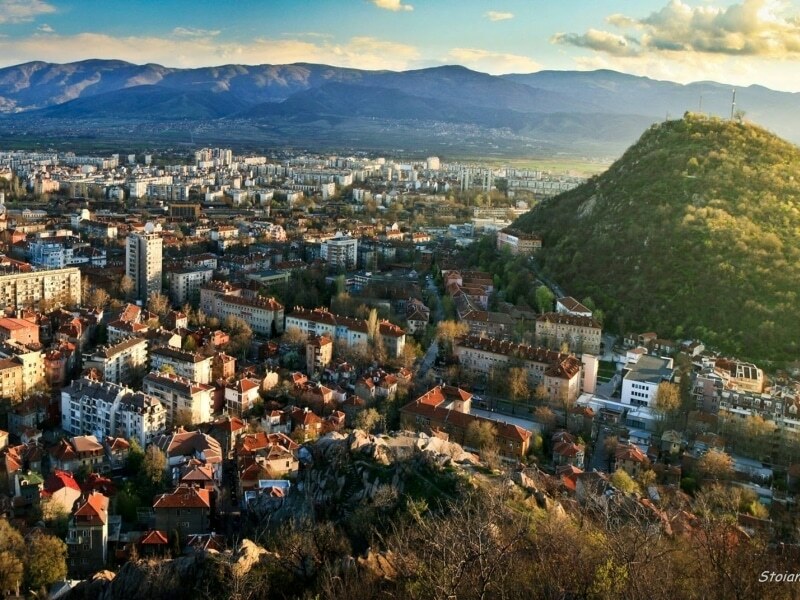 Four of them are in the Old Town of Plovdiv and the other one is on the main street of the city. For bigger image of the map click here. Representative Permanent Exhibition – it contains over 200 works of Bulgarian art. There you can find the oldest example of non-religious Bulgarian painting, dating from 1812. This is the portrait of Sofronii Vrachanski, one of the most significant Bulgarian Revival leaders. Icon Gallery: the collection includes icons from the middle of the 15th to the end of 19th centuries, mostly from Southern Bulgaria. Museum Exhibition “Tsanko Lavrenov” and Permanent Exhibition “Mexican Art”: the first floor is arranged with Mexican arts and the second one with an exposition of artist Tsanko Lavrenov. Permanent Exposition “Encho Pironkov”: 45 works of the painter from various periods of his creative development. 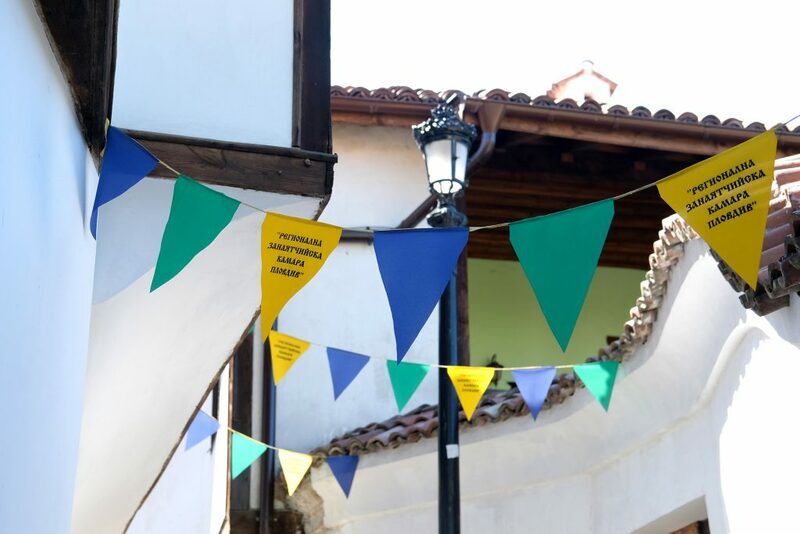 Halls for Temporary Exhibitions: temporary exhibits of Bulgarian and foreign artists. The Stadium before and after the renovation. The Roman Stadium was built in the 2nd century C.E. following the model of the Delphic Stadium and it’s one of the 12 of its kind, preserved in the whole world. In the ancient past the Stadium seated 30 000 people who could watch different kinds of sports competitions, gladiator fights or fights with animals. Also an interesting fact about the past of the Stadium is that the Olympic Fire passed through there on its way from Athens to Moscow in 1980. Nowadays you can see the northern arc of the stadium with 13 rows of seats, the northern entrance and a part of the track. The area around the Roman Stadium can be very practical too, because there you can find lots of sculptures, paintings, jewelry and souvenirs – works of the local artists. The Bulgarian Orthodox church Holy Mother of God is situated in the Old town of Plovdiv. A Christian sanctuary has existed there since the 9th century. The church was renovated in 1186, but it was destroyed in 1371. 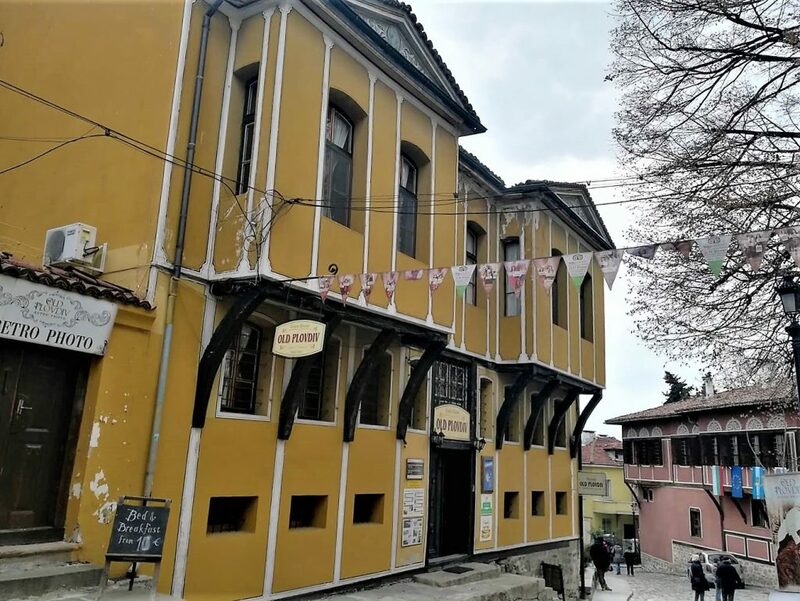 The present day building was constructed in 1844 and it used to be the main church of Plovdiv. In 1953 the church was decorated painted by Zlatyu Boyadzhiev, Nikola Kozhuharov and others. Inside the temple you can see an orthodox iconostasis. The main motifs are flowers, grapes, branches and leaves. The ruins of one of the largest early Christian basilicas in Bulgaria lie near the church “St. Ludwig” also called Episcopal Basilica. The total length of the basilica is 86.30 meters and its width – 38.50 meters. The building had 14 supporting posts, made of marble and masonwork. The most fascinating part of the Basilica are the mosaics that covered the floor. They occupy an area of 700 sq. m revealing motifs that captivate your attention. The mosaics are colourful and they represent mostly images of birds. Although the Great Basilica is one of the most intriguing cultural heritage sites in Plovdiv it’s still not renovated. The Balabanov house was built in the early 19th century by Hadji Panayot Lampsha – a wealthy merchant and banker. The house is named after its last owner, the merchant Luka Balabanov. At present the first floor of the building is used as a hall for exhibitions of modern art and the second floor is a venue for music concerts and many artistic activities. 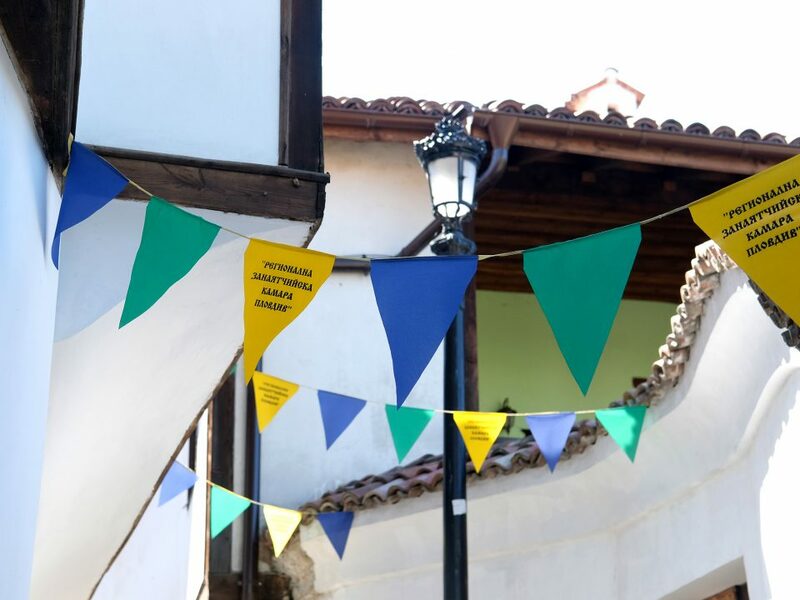 Want to explore the interior of the Balabanov house and many other sites around Plovdiv? 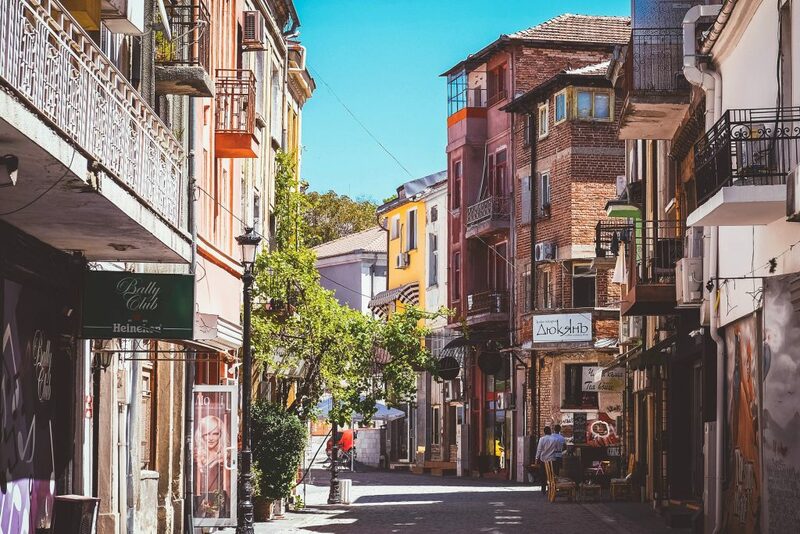 Why not consider getting Plovdiv City Card and check them out for free!